Socrates explains in his Ship Analogy, comparing the state to a complicated and large ship. In order for the ship to make safe passage it must have an experienced navigator who has knowledge of capacities of the ship, meteorology, water currents, navigational astronomy and the like. An ignorant person would not be able to guarantee safe voyage of the ship, the people in side, and its cargo. 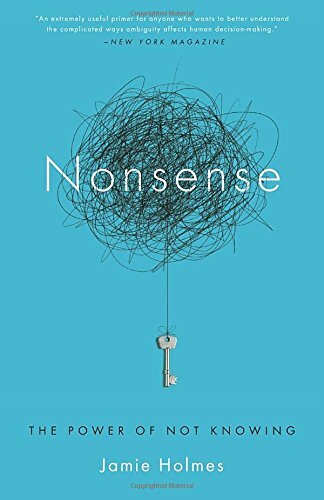 I recently finished reading “Nonsense”. A fascinating read about how human mind struggles with things that make no sense at all. A key dimension of emotional intelligence, according to the book, is the ability to handle ambiguity. A strong need for closure which leads to a desire to resolve ambiguity. But as Nonsense reveals, our need for closure has its own dangers. It makes us stick to our first answer, which is not always the best, and it makes us search for meaning in the wrong places. When we latch onto fast and easy truths, we lose a vital opportunity to learn something new, solve a hard problem, or see the world from another perspective. In other words, confusion–that uncomfortable mental place–has a hidden upside. We just need to know how to use it. This lively and original book points the way. The book talks about cults, espionage, hostage negotiations, Ducati, Zara and a lot of other interesting stories. Ambiguity leads to people closing their minds and stick to preconceived notions. 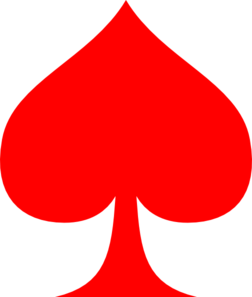 So if you want people to not be open to your ideas, flash them something that causes them to reconsider things – such as a red spade (An experiment from the book). On the other hand, if you want people to be open to your ideas, meet them in a place that is really comfortable for them like their homes. One of my favorite sections of the book was about teaching. It talks about how lectures that just transfer information do a great disservice to the students. A better approach is to engage students in solving some problems that forces students to learn and apply. The book also talks about how puzzles that require lateral thinking can teach kids to keep an open mind and to consider alternative scenarios. Overall five stars to Jamie Holmes for a very engaging and easy to read book with a heavy dose of insight and through provoking ideas. Don was driving his semi under an overpass when suddenly he came to a screeching halt. Don wasn’t paying enough attention and inadvertently drove under the overpass that was just barely as high as his truck. The semi was wedged so tightly that he could not go forward or backward. A fellow trucker came by and told him how he could easily get the semi out from under the bridge. What did he suggest? Here is the summary – Scammers are realizing that more and more consumers are looking for branded retail apps. They are looking for brands that don’t have an app, create a phishing app for the brand and release it in the wild. The consumer downloads the app and gets their data stolen by these fraudulent apps. The solution is simple – brands should create/claim their apps ASAP to make sure that scammers are not able to defraud consumers looking to connect with them. 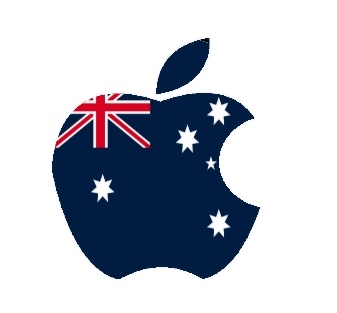 Interesting battle brewing in Australia where a consortium of large banks is demanding that Apple open up its limited access to the NFC components on the iPhone in order the level the playing field for other wallets. Apple is pushing back hard citing security. As you can imagine the stakes are high and the outcome could have a significant impact world-wide. Read a great rundown and analysis here: Is the debate over Mobile payments in Australia rotten to the core?